Although many establishments have come and gone, there are places in Fort Wayne that have flourished decade after decade. 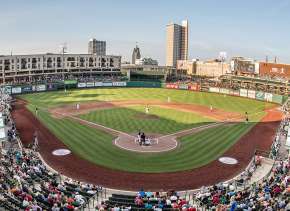 Here are ten places to check out if you are in Fort Wayne and looking to step into another time. Formerly known as the Bass Mansion, this beautiful estate sits on the University of St. Francis campus. Originally intended as the private summer home for Industrialist John H. Bass, this landmark has innate architecture, antiques, and detail from the early 1900&apos;s. The sisters of St. Francis bought the mansion in 1944 when they relocated their college to Fort Wayne as it served as a library and residence hall for their institution. It was restored in 2010 and renamed "Brookside" and was added to the national register of historic places in 1982. 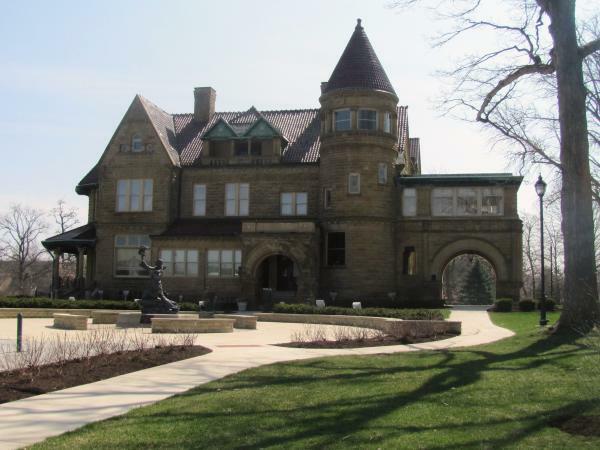 The University of St. Francis offers 1 hour guided tours of the mansion on Tuesday mornings and Thursday afternoons. These tours are $5.00 a person and should be reserved in advance. They also open up the mansion every December for USF Christmas in the Castle where you can take an unescorted tour decked out in holiday décor. Don Hall opened the Original Drive-in on Bluffton Road in 1946 as one of the first drive in style restaurants in town with car hops and curbside service. Since then, the location is dine in and carry out only, but the food and service remains top notch. 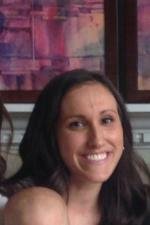 I would recommend sitting in a booth in the front of the restaurant and ordering the big buster platter with a frosty. The Historic Old Fort is a duplication of the post constructed by American troops in 1815. It is located on Spy Run Ave, a short distance from its original location. When you visit the Old Fort you are living the life of the early 1800&apos;s where re-enactors give you the history of their lifestyle and professions. 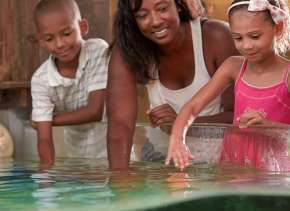 It is truly a show to be seen and so much to be learned when you visit! The grounds are open to walk about any time of year, but the interior is open during special events only, so check out their event calendar to plan your next trip! One of my favorite downtown activities is to sit at the bar at Coney Island and order "two with everything and a Coke". This tradition is popular with many locals as Coney Island&apos;s hot dogs are one of a kind. Their food is not only amazing, but the experience is priceless. 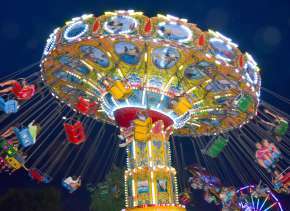 Coney Island was established in 1914, and has had the same family running the business since 1916. They pay close attention to detail in their ingredients and their hard working staff is kind and attentive. Many people visit Coney Island at Christmas time after gazing at the holiday light displays or other downtown holiday attractions, but anytime is my favorite time to visit Coney Island. The Embassy Theatre opened as the "Emboyd Theatre" in 1928 showing movies and live entertainment. "The Emboyd" was sold in 1952 as the name changed to the "Embassy Theatre" playing only movies at the time. Facing demolition in 1972, community leaders and volunteers led a campaign to "Save the Embassy" and raised enough money to keep the dazzling theatre open going back to the original intention of live entertainment. In 1975 the Embassy Theatre was put on the National Register of Historic places and since then has become the home for the Fort Wayne Philharmonic, the Festival of Trees, Broadway at the Embassy, and a variety of different musical and comedy acts. The architecture and features alone are worth the trip as you can also reserve the Embassy for private events. The Lincoln Tower opened in 1930 standing 312 Feet tall with 22 floors. It was the tallest building in the State until 1962 as the limestone structure is an iconic structure of Fort Wayne today. The artwork alone is a reason to visit the Lincoln Tower, but if you are up for a treat, the original Soda Fountain is still in business and serves as a fun and tasty downtown activity. The roots of the Oyster Bar go back to 1830 when the location first opened as a saloon. In 1954, Hughie Johnson and Neal Barille, two players for the Zolliner Pistons bought the saloon and started serving oysters. 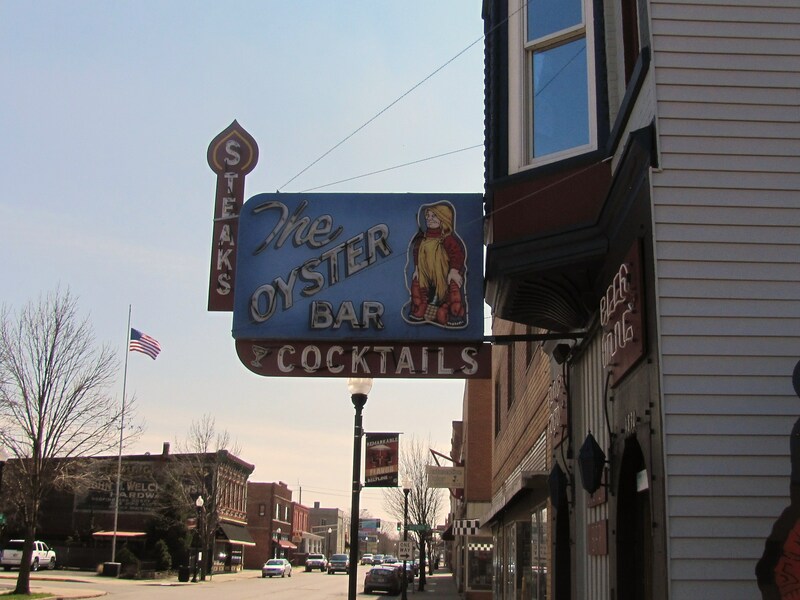 The restaurant was sold, renovated, and the name was changed to "The Oyster Bar" in 1975. The current owners bought the restaurant in 1987 as they have been a front runner in the fine dining scene since then. You, of course, will want to order the oysters when you go, but you also cannot go wrong with the scallops, the Ahi Tuna, or the Filet. Built in 1927, this 7 story American Craftsman apartment building was a prime location for shopping and real estate and one of the first in the city. It was placed on the National Register of Historic Places in 1983 and still stands today as a beautiful apartment building. I lived at Fairfield Manor for one year as our apartment had original fixtures, built- ins, and a breathtaking view of the Fort Wayne Skyline. Fairfield Manor features their lobby and an apartment or two on the Williams Woodland Park Holiday Home Tour if you are curious about checking out striking, historic real estate. Known for their late night hours and onion smothered sliders, Powers Hamburgers has been a Fort Wayne landmark for years. 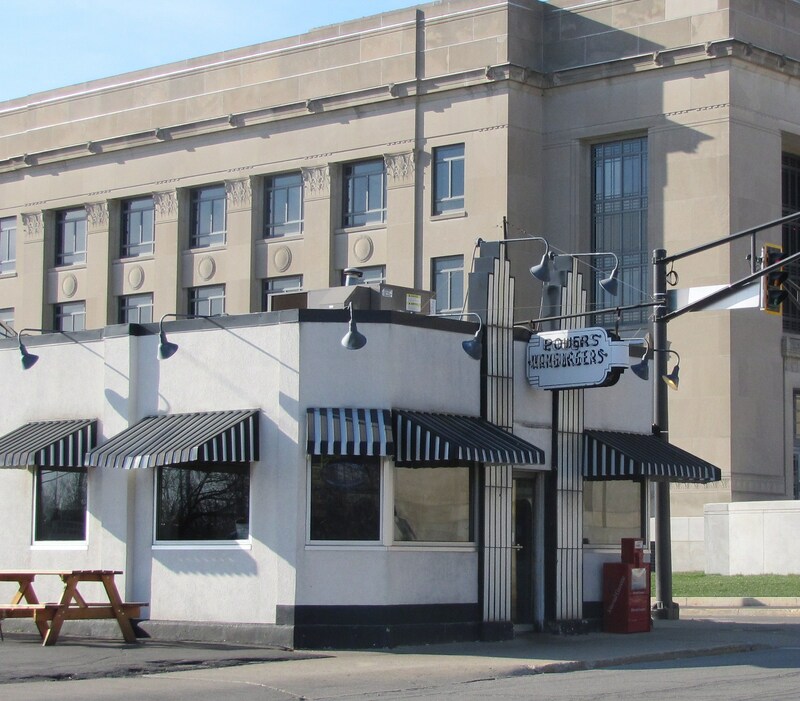 Powers opened in 1940 from a Michigan burger chain and have had three locations in Fort Wayne since, but the original on Harrison Street still stands today. Sitting at the counter at Powers and getting a couple of sliders is a local experience you shouldn&apos;t miss out on. The history of Riegel&apos;s Cigar, Pipe and Tobacco dates back to 1874 with the same family owning it since 1905. They have been in their current location at 624 S. Calhoun St. since 1967 selling cigars, pipes, tobacco, and accessories since. The downtown location also has an extensive newsstand and snack selection. They have two additional locations in Fort Wayne at Georgetown Square and Covington Plaza. If you are a cigar or pipe enthusiast, this is the place to go, as they have a great down to earth and knowledgeable staff to guide you through your purchase. These historic establishments are part of what make Fort Wayne such a great place to live and to visit. 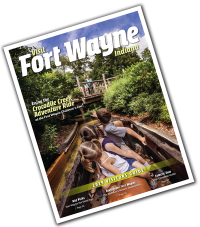 If you are planning to come to the area or are a local looking for more to do, you will not be let down by visiting a place from old world Fort Wayne.